“This book will make no attempt to defend God. . . . If you are looking for a book that boasts triumphantly of conquest over a great enemy, or gives a detached philosophical analysis that neatly solves an absorbing problem, this isn’t it.” Too often the Christian attitude toward suffering is characterized by a detached academic appeal to God’s sovereignty, as if suffering were a game or a math problem. Or maybe we expect that since God is good, everything will just work out all right somehow. But where then is honest lament? Aren’t we shortchanging believers of the riches of the Christian teaching about suffering? 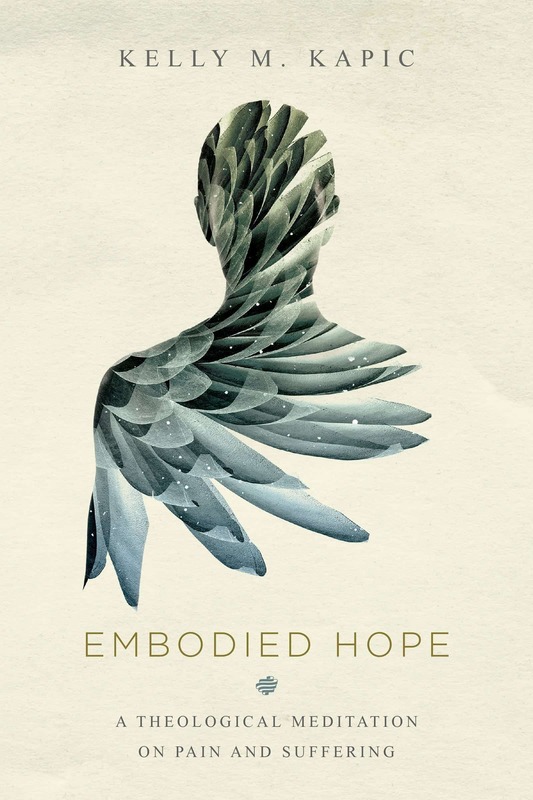 In Embodied Hope Kelly Kapic invites us to consider the example of our Lord Jesus. Only because Jesus has taken on our embodied existence, suffered alongside us, died, and been raised again can we find any hope from the depths of our own dark valleys of pain. As we look to Jesus, we are invited to participate not only in his sufferings, but also in the church, which calls us out of isolation and into the encouragement and consolation of the communal life of Christ. Drawing on his own family’s experience with prolonged physical pain, Kapic reshapes our understanding of suffering into the image of Jesus, and brings us to a renewed understanding of―and participation in―our embodied hope.